Colin Thomas, Professor of Chemical Engineering at the University of Birmingham, organised an open HEA workshop on the use of puzzles in STEM (Science, Technology, Maths and Engineering) teaching this week. Colin has been using puzzles in his teaching to engage students in some of the core maths skills they need as chemists; and has joined up with colleagues in Mathematics to produce a booklet which collects popular maths puzzles throughout history into a single handy resource. 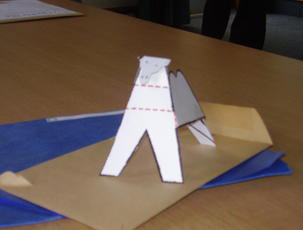 The workshop, attended by 40 lecturers from across the UK in STEM subjects (and two ‘outsiders’ – myself and a lecturer in Education representing a humanities perspective), was centred around the question of whether maths puzzles could be adapted to other subjects by altering their language and setting. In other words, would adding a relevant context improve students’ engagement with the puzzles and underlying skills? Firstly, though, we spent the first part of the day trying to solve some of the puzzles Thomas and his colleagues had compiled. This tested my rusty A-level maths skills to their limit, but I managed quite a few to my great satisfaction. It was interesting to note that, although introduced as a solo exercise, very soon all participants were deep in discussion, sharing problems or solutions with each other: puzzle solving can be a highly communal, as well as individual, activity (as I found in my own work with puzzles in History). being entertaining in some way. There was some discussion of whether puzzles are best used as ‘extra’ activities (outside the curriculum) or embedded within the curriculum itself and linked to assessment and progression. 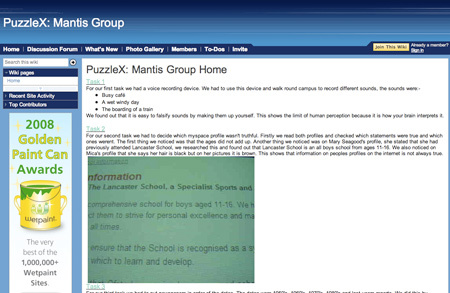 Whilst Thomas had embedded puzzles as additional elements within larger teaching sessions (with greater success than he had found when offering puzzles as an extra option previously), Chris Sangwin described a whole module he had designed in Mathematics, where students were given puzzles to solve in each session, and would then have to present and defend their solution in front of the class. Interestingly, Sangwin found an interesting effect on engagement with the puzzles over the module’s ten-week period: excitement in week 1, frustration in week 3, despondent in week 5, rebuilt confidence in week 7, and confident and collegiate by week 11. Sangwin found that a group size of 10-20 was ideal, and found that some students failed to engage – although with the presentation side rather than the puzzles. In the afternoon, we worked in small mixed-discipline groups on designing subject contexts around the standard maths puzzles. On my table, this led to some very interesting discussion: would adding subject context overcome the difficulty non-maths students have with mathematics? Whilst some felt that this would simply be superficial and of no benefit, I argued with my own experiences that adding subject context can have a dramatic effect on engagement; but that the context must be carefully thought-out to reflect the character of the subject (so, taking the fields example above, it’s not enough to swap fields for – say – building floor space for Engineering students; students need to feel that they are doing meaningful work towards their future profession – and so the puzzle must reflect a real problem engineers face in their work). The use of narrative though, whilst generally liked within humanities subjects, is – of course – less common/accepted in STEM subjects, and hence many of the participants found this approach quite alien (as, presumably, would their students) and tended to keep returning to the stripped-down source puzzles. In conclusion, this was a thoroughly interesting workshop, delivering some fascinating discussions which transcended STEM subjects and yet provided an interesting contrast with humanities approaches. As is so often the way, context was agreed to be of great importance, but the character of students and lecturers in particular subjects was brought into the equation. Overarching all of this, however, we all decided that a good puzzle can indeed be highly engaging regardless of your background. A couple of months ago I was asked to run a day activity for a group of 15-year olds from Barnsley, as part of the university’s widening participation scheme. How to teach fifty 15-year olds about university life in 5 hours and keep them entertained enough to avoid them interfering with the degree ceremonies going on elsewhere on campus? I borrowed a few approaches from alternate reality games, principally live events (example here) and a broad mix of media. Over a good day’s brainstorming with Kate (Litherland, a research associate from my last arg-influenced project) fuelled by coffee, cake and (for the really tricky parts) beer, we came up with PuzzleX: The Quest for Truth. Essentially, we planned to teach the schoolkids what most undergraduates fail to grasp before their third year: a healthy academic cynicism for the published word/image, and an ability to peel back the covers and delve deeper. This was to be no lecture series, though: the schoolkids would become Puzzle Teams, working against the clock to solve a variety of different challenges, then producing their evidence in a dossier in a final frenetic showdown. And, well, it worked rather… erm… well. At 10:00 sharp a Mission Impossible-meets-Jack Bauer opening sequence drew the Puzzle Teams in, and set them off on their first challenge of the day (the first mission dossiers were hidden under six random seats in the 200-seat theatre). 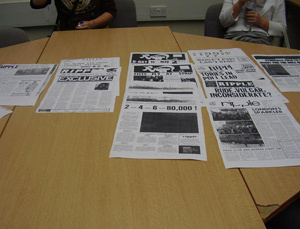 Aided by black-clad Puzzle Agents (a fabulous team of postgrads) and under pressure from constant countdown timers above their heads in each mission room, seven Puzzle Teams were to be found (at various times) measuring themselves up against the tallest building on campus, furtively listening to recorded messages and shortly after wiring up the sound of flushing toilets or crowded cafés, making 3D camels, and trying to catch out fictitious online MySpace fraudsters. All in the Quest for Truth. Most impressive of all was the work the teams put in at the end to record all their evidence in a Wiki: in less that 45 minutes, some groups produced 6-page illustrated guides which would put much undergraduate work to shame. Boring subject? Not when it involves problem solving, collaboration, a good story and a healthy splash of fun. I’ve questioned the motivation and understanding of undergraduates twice in the above post. But are we teaching them these skills in the right way? Barnsley’s 15-year olds might have an answer.